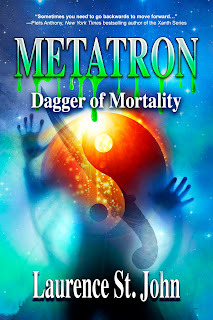 In his new release, METATRON: DAGGER OF MORTALITY, science fiction/fantasy author Laurence St. John creates an uplifting and inspiring fiction novel that “sustains constant action as 15-year-old Tyler struggles to stop the relentless animosity of a demonic figure and his accomplice! Sometimes you need to go backwards to move forward,” said Piers Anthony, New York Times bestselling fantasy Author of the Xanth series. St. John, who hails from just south of Toledo, Ohio, quickly grabs the reader’s attention then poses the ultimate question: Can superheroes really be killed? Who is this Black Shadow character and who does he want to get revenge from? Tyler must execute the most grueling choice of his life – save himself, save his beloved girlfriend Kendall or save millions of helpless people and hinder Kelltie’s plan. In this, his highly anticipated third action-adventure, St. John keeps readers turning the pages up to the last adrenaline-filled moment when Tyler’s fate is determined. The story is set in New York, Nevada, and Massachusetts, where the action-packed adventure opens your mind’s eye, conveying the sensation that you’re watching a movie. Metatron: Dagger of Mortality is a novel made for the silver screen ― action-packed, emotional and a gripping story that will leave you wanting more. Tyler believes a Superhero’s responsibility is to make the right decision then follow it through to the end. But, what if the outcome results in his death? Fourteen-year-old Tyler Thompson has been in isolation for eight months so he could focus on completing his superhero training. Not even one day after his completion, Master Pat Tanaka urgently summoned Tyler. Pat desperately needs his help, but for what? Kelltie is threatening Tyler’s destiny of being a superhero by framing him for what will be the largest mass killings in American history and there’s nothing he can do to stop it. She also teams up with Black Shadow, a ruthless demonic figure with his own agenda — to use the Dagger of Mortality and kill Metatron. Tyler feeling vulnerable gets inspiration one last time from Master Tanaka’s instructor Master Dogmai. Nevertheless, with the Dagger of Mortality in hand, it’s time for Black Shadow to get his revenge. Tyler must render the most arduous choice of his life. He’ll save himself, save his beloved girlfriend Kendall or save millions of helpless people and hinder Kelltie’s plan. Can superheroes really die? What choice does Tyler make? 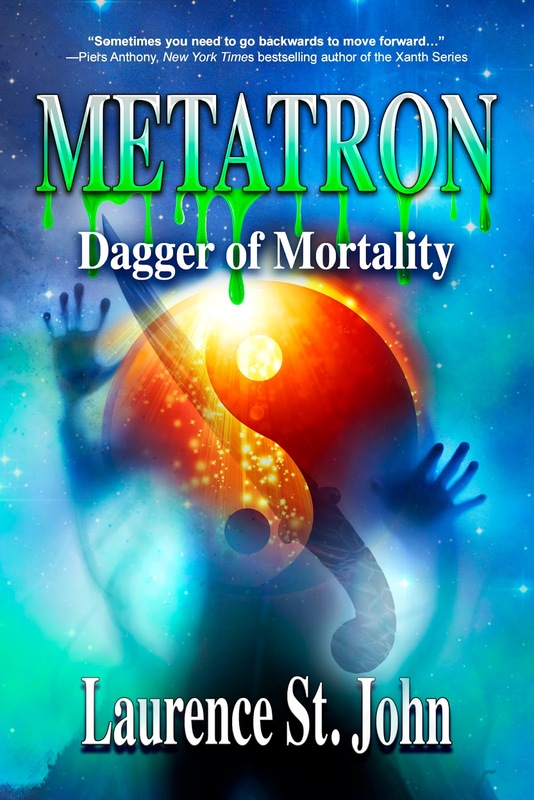 “Metatron – Dagger of Mortality, by Laurence St. John sustains constant action as 15-year-old Tyler struggles to stop the relentless animosity of a demonic figure and his accomplice! Sometimes you need to go backwards to move forward…"
Metatron: Dagger of Mortality was published by Ogopogo Books an Imprint of Imajin Books and is available in eBook edition at Amazon, Google Play and Kobo. Order your copy today. It is also available in trade paperback edition at Amazon, Books-A-Million, and Barnes & Noble, as well as other retailers. Laurence St. John is currently working on book four and five in the Metatron Series. Laurence is a 1983 graduate of Genoa High School, a 1988 Black Belt recipient in Tae Kwon Do and a 2004 graduate of Owens State Community College. Laurence is also available for interviews/guest appearances. For book sign dates please see his Facebook page. You have a liking for your articles. After reading them, I get more information and knowledge. Please update more posts. I usually read them. Thank you very much.